Exploring Deadpool’s unique role in the war for superhero dominance. Until very recently, the people who make these kind of decisions assumed that Deadpool was unmarketable. He’s a deformed comic book anti-hero that’s foul-mouthed, constantly breaks the fourth wall and loves tacos. As a result, executive kittenishness had kept his breakthrough movie stuck in developmental hell for years. Fortunately, the recent glut of superhero films have forced movie studios to think more creatively. Stale superhero caricatures have made audiences, especially this college generation, want something different in their superhero movies, and Deadpool is their answer. Even though it’s been a long journey from the comic book pages to the big screen, this month the Deadpool movie finally makes its triumphant debut. Not only will the “Merc with the Mouth” finally get a proper introduction to mainstream culture, his arrival will mark an important watershed moment. The movie’s release is an indication that mainstream moviegoers are finally ready to embrace a more offbeat brand of caped crusader. Outside of committed DeadHeads, there are essentially two kinds of people in the world: Those unfamiliar with Wade Wilson aka Deadpool; and those familiar with the disastrous interpretation of the character from the maligned X-Men Origins: Wolverine. Whatever the case may be, I’m here to help introduce you to a character that has had an undeniable influence on modern comics. Originally created as a villain in the 90’s, Deadpool was infamously antithetical to the righteous, do-gooder heroes of the Marvel universe. Since then, he has evolved from an intriguing antihero to a figure that offers a satirical, almost metaphysical commentary on the very concept of comic book superheroes. On the surface, Deadpool looks shallow. He’s a mentally unstable and horribly disfigured mercenary with the superhuman ability of accelerated healing. He can’t be killed no matter how many people want him dead. He’s been shot, stabbed, pulverized by The Hulk and decapitated more than once, but he’s always able to pull himself back together. Personality-wise, he’s known for his irreverence and wit, as well as his annoying tendency to keep talking. But the one trait that really sets Deadpool apart from the bazillion other colorfully costumed superheroes flying around saving the world is his metaphysical awareness, i.e. knowing and discussing the fact that he only exists in a comic book (and now a movie). This is a big deal. He’s constantly breaking the fourth wall to talk to audience members about his current situation. He’s been known to read his own comic book in order to gain vital information about his enemies or catch up on plot points that he missed. Most people he comes into contact with chalk up his random asides and unintelligible rambles to his well-documented mental instability, but readers know that Deadpool is talking to them. This rule-breaking Sophoclean irony allows for a shared secret knowledge to exist between the character and his audience. It makes plots engagingly complex, especially because of the possibilities it creates as a result of the pictorial format and serial publication structure of the comic book universe. What’s even more inventive is that because Deadpool is an anti-hero, his clairvoyance is more fiendish than prophetic, like a time-traveler who buys stock in Apple but keeps mum about the housing bubble. Deadpool’s unpredictability makes him an absolute joy to read, because he never truly falls on either side of the good or bad spectrum. He’s a good guy until he decides not to be, and he’s a bad guy until something else catches his attention. He’s saved the world and he’s destroyed it. He’ll kill someone when he’s hired to, and he’ll kill someone for saying the Star Wars prequels are superior to the originals. He’s hilarious and dark, but expresses just enough humanity to make him endearing. Go to any Comic-Con or cosplay gathering and without a doubt, you’ll find a few Deadpools walking around. He’s become iconic in the nerd community because he blurs the stereotypical boundaries of comic book superheroes, and is gut-bustingly funny while doing it. Fittingly, the story behind Deadpool’s production is almost as non-traditional and fascinating as its eponymous lead. Interest from studios to bring Deadpool to theaters started back in 2004, but no one could get an idea off the ground. It wasn’t until 2009 when it was announced that uber-fan Ryan Reynolds would play Deadpool in X-Men Origins: Wolverine, that hopes of a spin-off were born. Financially, X-Men Origins: Wolverine was a success, but it was bashed critically for its lame depiction of Deadpool (they sew his mouth shut, which is akin to blinding a NASCAR driver). 20th Century Fox still owned the rights to Deadpool and wanted to use his character, but they were afraid to give a film about Deadpool a green light. Even after a screenplay written by the people behind Zombieland became one of the most talked about scripts in Hollywood, and visual effects specialist Tim Miller was hired as director, Fox still wouldn’t back the project. Critics suspected that Fox was afraid that an R-rated superhero film wouldn’t make back its budget. The project stalled and was assumed dead until July of 2014. Then, someone “accidently” leaked test footage for the film made in 2012, a short clip that saw Deadpool dispatch a van full of armed guards. I use quotation marks because even though officially the leak was accidental, most people assume it was just a coy testing of the waters. Finally, after the overwhelmingly positive response, Fox had the confidence to bankroll the film. When the first trailer was released at Comic-Con in 2015, fans went nuts and demanded that they show it a second time. Executives happily obliged. The massive hype surrounding Deadpool has made people question why Fox ever hesitated to pull the trigger on the project in the first place, but the studio has actually benefitted from their reticence. Deadpool works best as a violent, biting satire of regular superheroes. Now that the world has become inundated by the beige exploits of Iron Man, Superman and the X-Men, Deadpool will only pop more. When Deadpool shoots a few bad guys and sniffs his gun before looking at the camera to say “I’m touching myself tonight,” that’s funny. When audience see that after years of watching platitudinous heroes like Captain America fight for righteousness and justice, or when they lament the fact that nobody in the DC universe knows how to smile, Deadpool’s ultraviolent, irreverent asides become downright hilarious. 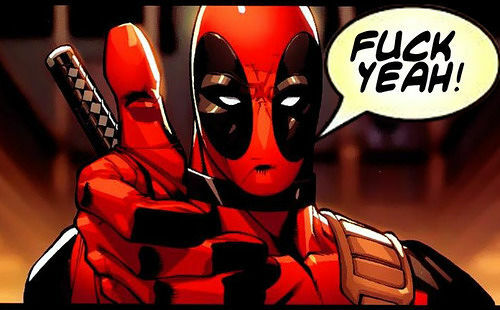 Which makes now the perfect time for the Deadpool movie. With superhero films being released faster than a speeding bullet, studios feel the need to keep topping themselves to remain culturally relevant. It’s why Captain America will be fighting Iron Man in Captain America: Civil War, and it’s why DC is throwing everyone into Batman v. Superman: Dawn of Justice in order to get to Justice League faster. They don’t understand that bigger isn’t always better. What audiences are really craving is a different perspective. 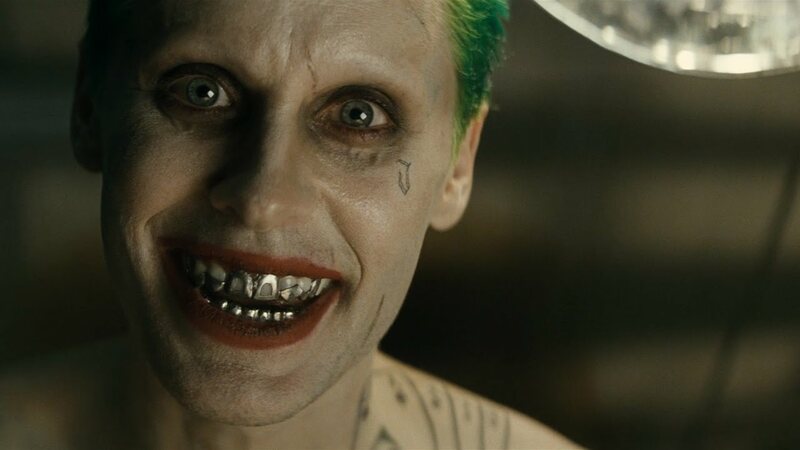 It’s why Guardians of the Galaxy did so well at the box office and why DC’s upcoming Suicide Squad is garnering so much buzz. Of course there’s still the chance that audiences aren’t ready for Deadpool’s style, but unless you’re a Star Wars movie, there’s never a guarantee of box office success. 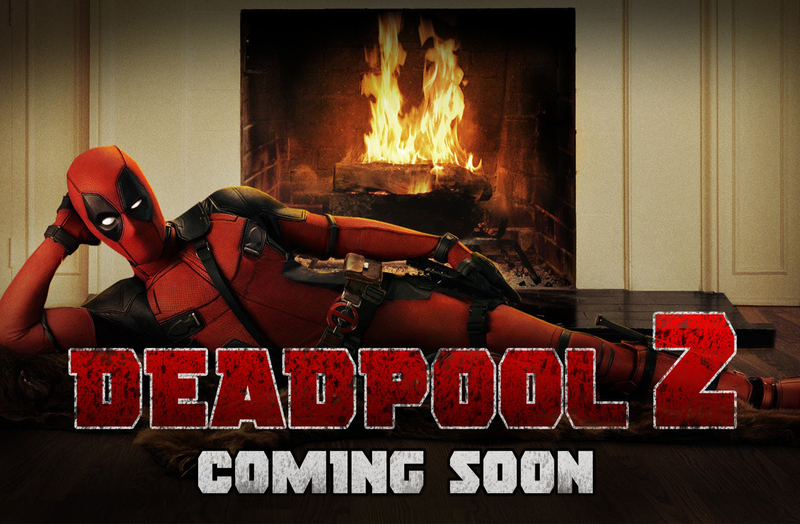 Although rabidly popular in the nerd community, Deadpool could still flop on its February 12th release. And although that doesn’t seem catastrophic, it could be. Few people realize how important Deadpool is. Whatever ends up happening to it will shape the future of the superhero landscape. Let’s run through two scenarios. Scenario #1—Deadpool is successful. Although most superhero blockbusters have enormous budgets, many writers and critics have commented on Deadpool’s relatively low budget. In a way, it had to be low or Fox never would have given it a green light; it is still, in Fox’s eyes, a gamble. Still, this gives the movie some wiggle room regarding the definition of success. Will it post Avengers-like numbers for its opening weekend? Absolutely not, but it doesn’t have to. All Deadpool needs is a healthy opening weekend and positive word-of-mouth to bring in fans and show that the film has an audience. If it meets or exceeds those standards, expect more Deadpool in the future. In this scenario, sequels and X-Men related team-ups would likely follow. The best case scenario, of course, is one in which Deadpool enjoys massive success and Ryan Reynolds becomes the deformed face of a new wave of violent, self-aware superhero films. Scenario #2—Deadpool is unsuccessful. 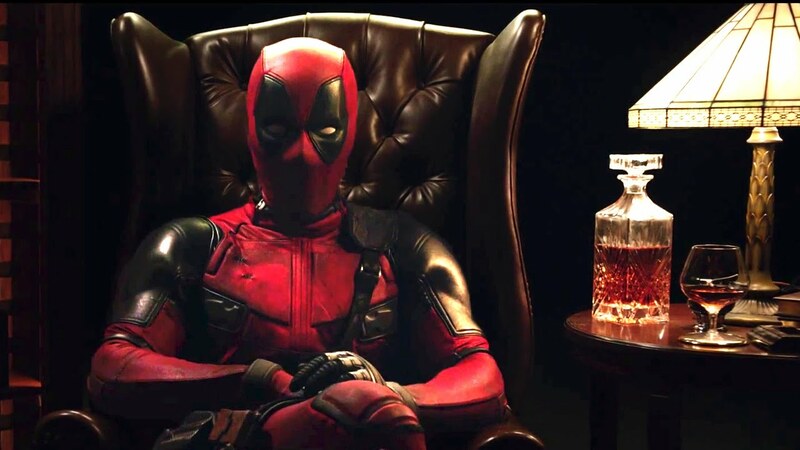 Critics pan it for its excessive violence and misplaced comic relief, and devoted fans who have been dying to see a proper live-action Deadpool are disappointed when their expectations aren’t met. It opens at number three behind Zoolander 2 and the Coen Brothers’ Hail Caesar, and disappears completely by the following week. If this happens, Fox will have suffered another huge flop after the disastrous Fantastic Four, and would be forced to double-down on their only successful superhero franchise, the X-Men, until it runs dry creatively. No studio will want to risk making another Deadpool, and Marvel’s darker, grittier side will be relegated to the catacombs of Netflix. Personally, I’m optimistic. Deadpool’s fanbase is small but mighty, and the desire for a different kind of superhero experience will draw in a large audience, at least once. Ryan Reynolds gets the opportunity to play the character again after portraying him in X-Men Origins: Wolverine, which is a chance that not many actors get. He’s stayed by the project’s side since the beginning, and has showed time and again that he’s a fan of the character and wants to do him justice. I think with that level of passion behind the camera, Deadpool is about to have a very nice Valentine’s Day.